Chris Ragusa begins his seventh season with Virginia Elite as an assistant coach of the 13’s team. He has coached athletes of all ages during his tenure, but primarily coaches Elite’s 13’s, 14’s, and 15’s teams, as well as all of the middle school clinics. 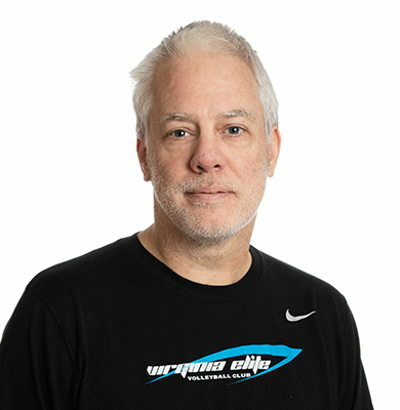 Ragusa has received several awards for his dedication to Elite, including being named as a Virginia Elite Co-Coach of the Year, and he brings over 36 years of volleyball experience to the club. Prior to joining Virginia Elite, Ragusa coached at Loudoun Youth Volleyball, Northern Virginia Volleyball Association, and Vienna Elite, where his teams placed in the open level several regional tournaments. He also spent several years with T.C. Williams High School’s freshman teams, and has since remained active in supporting the Titans. Originally from Walton, New York, Ragusa played club for Orange County Community College before joining the U.S. Navy. While stationed on the U.S.S. Saratoga, he helped his team to a 1984 Med Cruise Tournament title. Upon returning to the U.S., Ragusa settled in Washington, D.C., where he continued to play in local adult leagues.